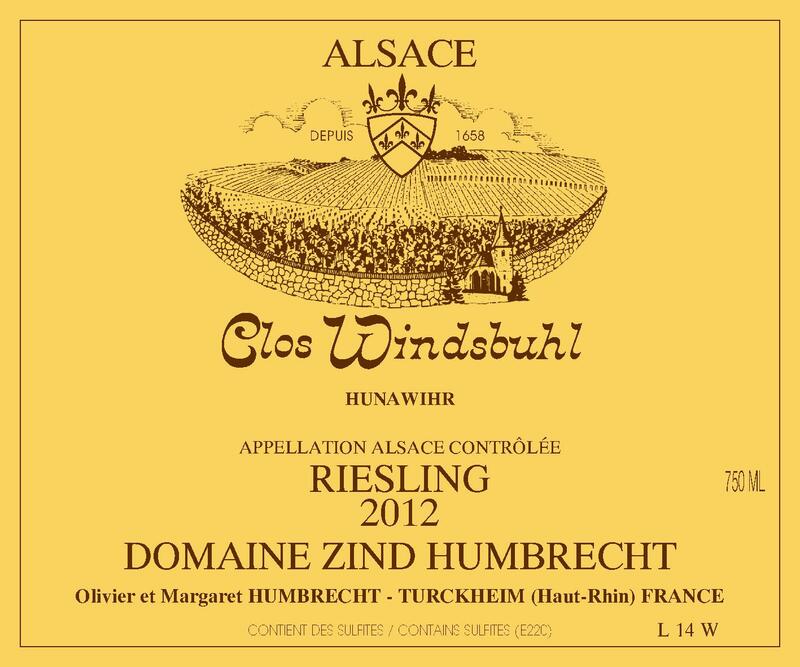 Faithfull to its status of late ripening vineyard, the Clos Windsbuhl was the last harvested Riesling in 2012. The proximity of the forest, the higher altitude and cooler Muschelkalk soil explains why every important phenolic stage is about 2 weeks later than Turckheim. The 2012 harvest was mostly healthy but some noble rot was present on the grapes in a small quantity (less than 10%). It certainly explains for the very lazy fermentation of this wine. The very high acidity in this vintage also created a more difficult environment for the yeasts. As much as this kind of fermentation can be dangerous for grapes like Gewurztraminer or Pinot-Gris, it seems that Riesling has no problem at all. 2/2014: this wine is still a work in progress, and probably will not be bottled before September 2014 or later. The nose shows intense fermentation aromas, just like it was harvested a few weeks ago. However, it also clearly shows now super mineral intensity and purity, typical of the Windsbuhl vineyard. The palate tastes almost dry (11g/l RS left at the moment) but the yeasts still have some work to do. Great potential. 3/2015 : open and very expressive with lots of fruit aromas. Without really being very active during this extra year on lees, the wine really acquired another dimension now. The acidity feels ripe and agreeable. The slight mid-palate roundness is well delimited by the classic Windsbuhl structure. The finish leaves an incredible sensation of youth.